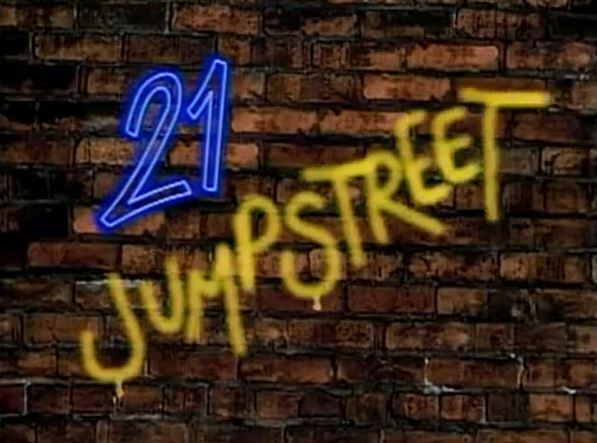 Time to rewatch 21 Jump Street from the start. Why? Why not? What’s goin’ down: Big-time plot summary. Here’s Hanson: A look at what Hanson is up to this week. Undercover blues: The various personas our heroes adopt while undercover. Goin’ to the chapel: The police station is inside an abandoned church. That’s so wacky! Here’s where we view what goes on at headquarters. Torn from today’s headlines: How the show famously (or infamously) exploited the social issues of the day. Trivia Time: Whatever behind-the scenes info I’m able to dig up on the episode. Jumpin’ or not? Final judgment, etc. The series begins in a big way, with a two-hour pilot. The DVDs splits it into two episodes, but no, they originally aired in a single block. What’s goin’ down: After struggling as a rookie cop, the young-looking Patrolman Tom Hanson (Johnny Depp) is assigned to Jump Street, to go undercover at the city’s high schools. His fellow cops are the wisecracking Penhall (Peter DeLuise), tough girl Hoffs (Holly Robinson), and immigrant Ioki (Dustin Nguyen). The first case involves a troubled teen involved with some bad dudes. Everyone thinks it’s drugs, but Hanson suspects something more. After a few fist fights and a car chase, Hanson follows the clues to a city-wide ring of car thieves. Here’s Hanson: Lots of backstory! Hanson became a cop because he idolized his cop father. He plays a mean saxophone. He’s also very much a straight-laced uptight cop at beginning, far away from his bad boy image we all remember. Hanson’s training on how to act like a teenager includes eating junk food and playing video games. Penhall’s prerogatives: He spends most of the pilot on the sidelines, occasionally chiming in with a few wisecracks. Undercover blues: Hanson’s first attempt at undercover work goes badly, as he arrests a lowlife drug dealer, losing a key link to a bigger case. This illustrates that the Jump Street cops are after the big crooks, and not just “resource officer” (a.k.a. narc) stuff. Later, Hanson makes out with a teen girl right there in the high school hallway, and it’s played as being cute instead of horrifyingly inappropriate. Goin’ to the chapel: Captain Fuller is nowhere to be seen. 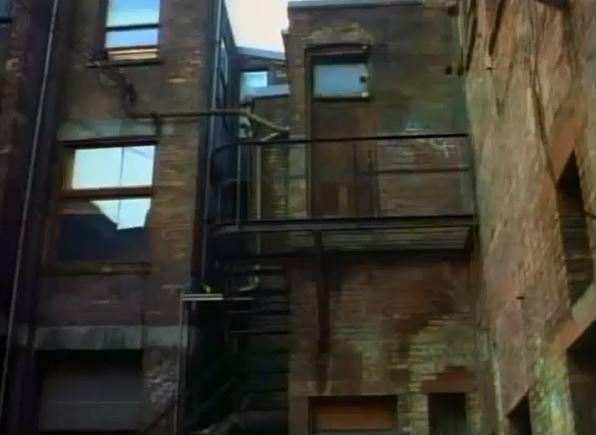 Instead, Jump Street’s mentor figure is Captain Jenko, an aging hippie who adores Hendrix and ends sentences with “you dig?” The exterior of the chapel is interesting, in that it’s in the back of an alley, with the only entrance at the top floor accessible only by the fire escape. This is the Jump Street Chapel. No, really. Torn from today’s headlines: Drugs! They actually show a kid shoot up on screen. Harsh. On the lighter side, a teen girl says to Hanson, “You look like that guy from Sixteen Candles,” and another teen bemoans the fact that he can’t make it to the big Eurythmics concert. Trivia Time: Most folks already know that actress Holly Robinson sings the show’s theme song, but did you know that Depp and Peter DeLuise sang the backup vocals? Also, Hanson’s partner pre-Jump Street was played by Barney Martin, better known as Jerry’s dad from Seinfeld. Jumpin’ or not? Whenever an hour-long TV show does a special two-hour episode, it’s almost always a meandering narrative with a lot of filler, and that’s the case here. It takes a long time for Hanson to get to Jump Street, and even longer for the case to really get going. Depp’s gradual transformation from straight-laced cop to teen bad boy is nonetheless compelling. It’s jumpin’!